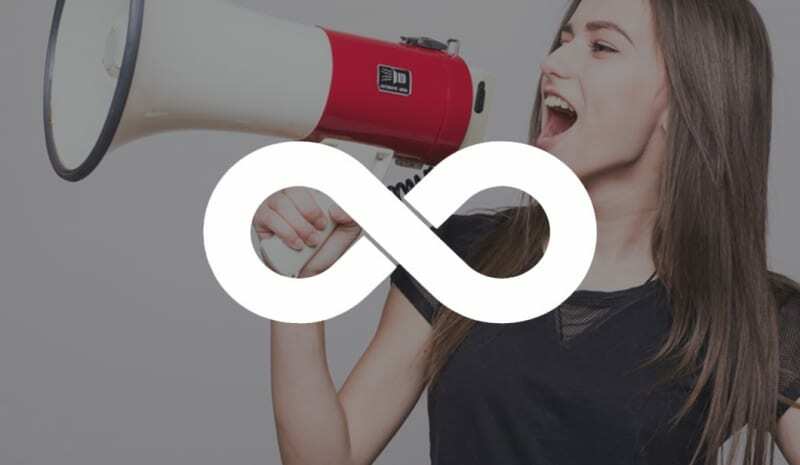 For those of you following along, we have been diving into our Infinite Marketing Loop strategy here on the ACS Creative blog. So far, Website Optimization and Inbound Marketing have been covered. Today, we’re wrapping-up this series with a discussion about Outbound Marketing—the third and final phase of the loop. In essence, Outbound Marketing is the opposite of Inbound Marketing, which is a more passive, patient, and evergreen approach to advertising. Television commercials, radio spots, magazine ads, cold calling, email (spam), trade shows, newspapers, and brochures are all considered outbound efforts. You are actively initiating a conversation about your business. This is where brand repetition really comes into play. Some tactics used in Outbound Marketing can be considered “cold” or impersonal. For instance unsolicited emails and phone calls, which tend to carry a higher cost per acquisition and lower chances of effectiveness. It’s fair to assume someone who hasn’t opted to hear from you isn’t going to be thrilled about a sales pitch out of the blue. This approach assumes you are casting a very wide net in hopes of catching a few fish. It’s a numbers game and, although you might get lucky from time to time, we recommend starting out any business relationship on a more welcome note. There are two types of social media promotion: paid and earned. If a potential customer is not actively following you and anxiously awaiting your updates and posts, you have to pay for their attention. Platforms like Facebook, Twitter, Instagram, and LinkedIn all allow you to define as broad or narrow of a target audience as you wish when building a paid campaign. This is your opportunity to minimize the chances of wasting ad spend on uninterested eyes. From pay-per-click to influencer marketing, it’s critical to have an in-depth knowledge of ideal demographics and interests before launching. Social media affords advertisers the ability to reach users based on hobbies, job titles, geographic location, age, and life events. Failure to target the right consumers will drive up your cost per acquisition and potentially prevent your ads from being run altogether. Do your homework, plan meticulously, and future customers will be happy to learn about your business! Advertisements don’t inherently offer much value to people. Whether it’s a mandatory commercial before a YouTube video or a pop-up banner on a website, they disrupt the flow of a person’s desired activity. The wrong ad, at the wrong time, to the wrong person is money down the drain and potentially increased negative sentiment toward your brand. Advertising in publications, over the airwaves, or online can be extremely effective in building awareness—but only if your message matches the audience. Remember that wide net we talked about earlier? Let’s reel it in. Narrow your geographics, limit your interests, rent booths at conventions and trade shows that make sense for your target industry, hand-pick the sites you display ads on, and run commercials alongside only the most relevant audio and video content. The core benefit of Outbound Marketing is control. By getting to potential customers before they discover your business on their own, you can better narrate the journey, messaging, and experience. Truth be told, Outbound Marketing often gets a bad rap—mostly due to its interruptive nature. Studies have shown significantly higher conversion rates using Inbound Marketing, but there is no reason to not supplement those efforts with both Outbound Marketing and Website Optimization. The Infinite Marketing Loop is most effective when each of the phases work in harmony with the others.